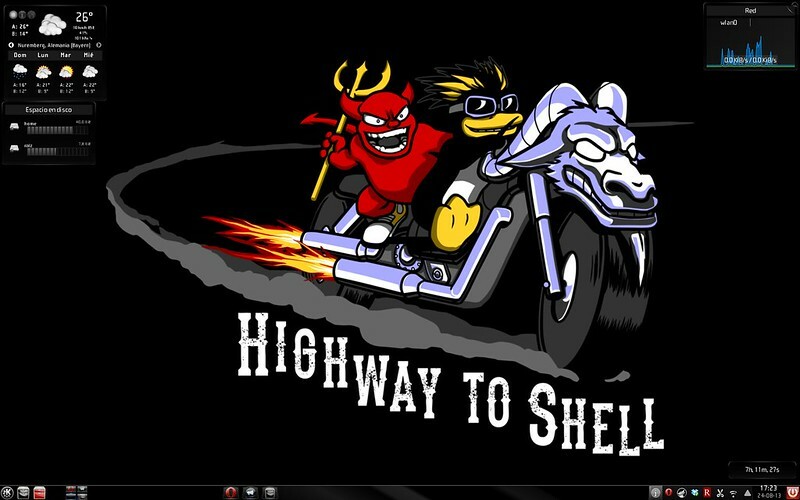 Tux and GNU and FreeBSD devil (¿?) in the highway to hell !! Well, I'm new to openSUSE (and KDE) so no fancy desktop just yet, But I like what I have so far. How did you get that Chrome tabs look across the top? are you running 12.3? did you install cairo-dock from the repos?